2015 Field School Tuition: $354 in-state (NY), $708 out-of-state! 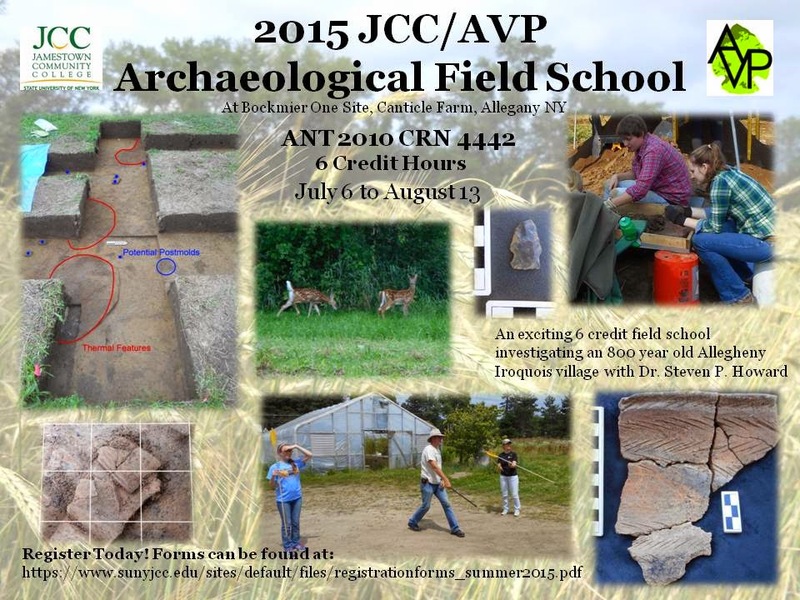 The 2015 field school runs during the second summer session (begins July 6 and runs to August 13), and is worth 6 credit hours at Jamestown Community College. The course title is ANT 2010, and the Course Registration Number (CRN) is 4442. Forms can be found at https:www.sunyjcc.edu/sites/default/files/registrationforms_summer2015.pdf. Registration is open from January 2 until June 29. The field school is listed under an Experiential Learning internship initiative, resulting in a deeply discounted tuition rate: only $372 for New York State redidents (be sure to submit the residency form) and $744 for non-residents! For more information contact Shannon Bessette at ShannonBessette@mail.sunyjcc.edu or Steve Howard at avp.archaeology@gmail.com. We recently submitted samples for radiocarbon dates for Feature 1 at the Karl Site (excavated in 2009 and 2012). The results are in, and the burned rock feature, likely an earth oven, was in use at least 5310 years ago. It appears the feature was built by a local Lamoka group. 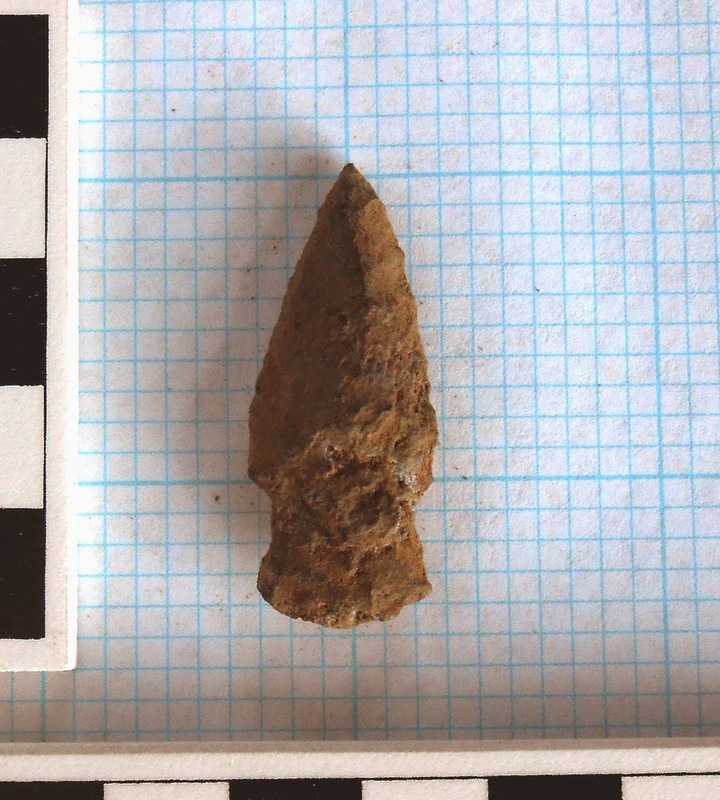 They can be recognized in the archaeological record by their short, narrow dart points, like the one pictured below from a Karl Site surface survey. Lamoka dart point from Karl Site. A report is being produced which will include more details. It will be submitted for publication next spring. We would like to thank our supporting members, and all who were able to contribute toward our Radiocarbon Fund initiative. Thank you for your continued support, as the Bockmier One features will require dating soon. To make a quick contribution in time to include it on your 2014 taxes, you may use our secure donation link on this page (with a credit card or PayPal), or send a check to Allegheny Valley Project, 900 S. Lamar Blvd #213, Austin TX 78704.